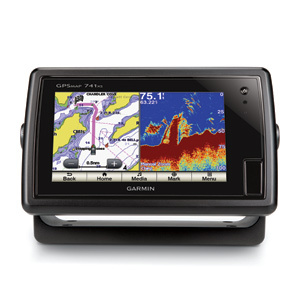 Includes both BlueChart® g2 coastal and LakeVü™ HD inland mapping for the U.S.
GPSMAP 741xs combination chartplotter/sounder allows for easy visibility, day or night. Whether it is flat-, flush- or gimble-mounted, it will be the focal point of your helm. 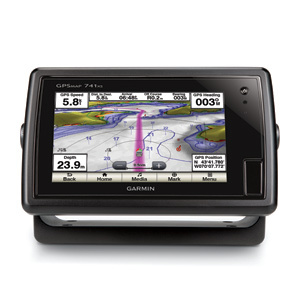 It has media integration and autopilot compatibility, radar support, and NMEA 2000 and wireless connectivity. 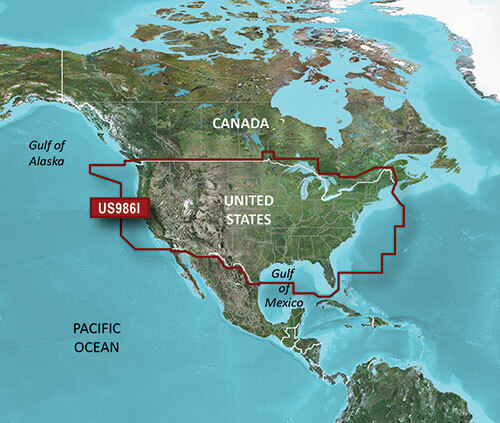 It includes our hallmark user-friendly interface as well as both BlueChart g2 coastal and LakeVü HD inland mapping for the U.S.
With the integration of a 10 Hz GPS/GLONASS receiver, the 741xs refreshes position and heading up to 10 times per second. 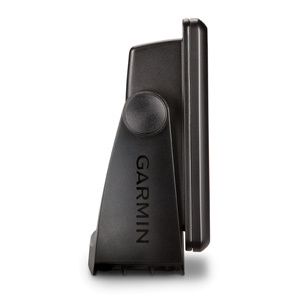 It displays constant and fluid on-screen location and proves to be incredibly accurate when marking waypoints and navigating. 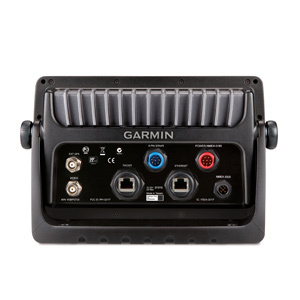 Built-in support for a wide selection of Garmin transducers, including 50/200 kHz, 77/200 kHz, ClearVü scanning sonar and CHIRP. 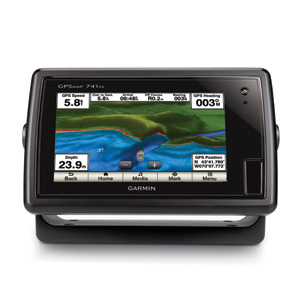 In addition, it will also support Minn Kota® and MotorGuide® trolling motor transducers. 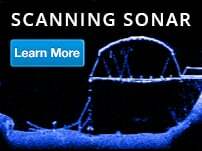 Allow networked combos to share their internal sonar with any other device on the network. 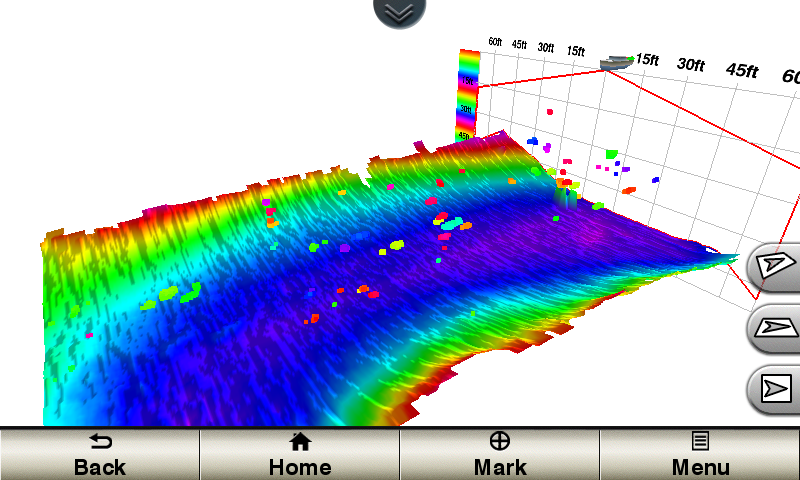 GPSMAP 741xs also gives you the flexibility to choose what information is overlaid on the sonar screen. For example, time of day or GPS speed. 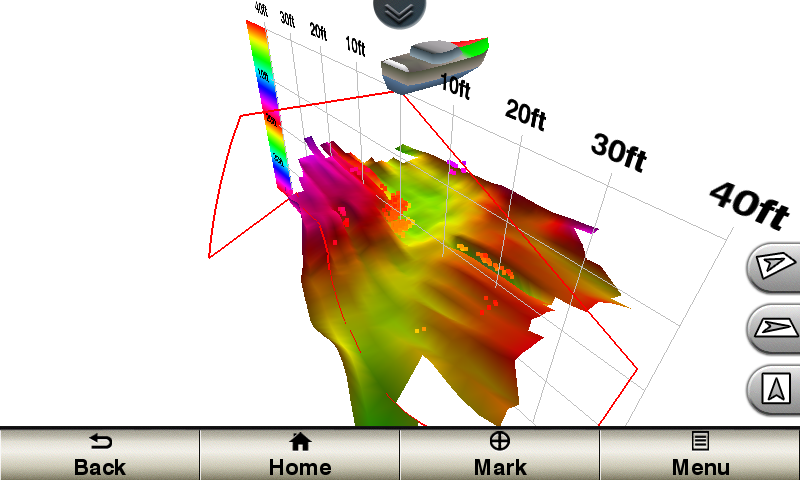 Add the optional GCV™ 10 scanning sonar module to enjoy Garmin ClearVü™ and Garmin SideVü™ scanning sonar with the clearest scanning sonar images on the water. 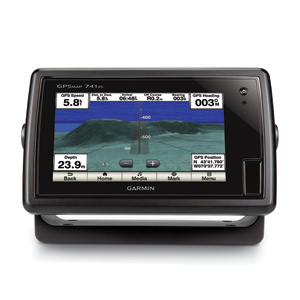 When used with a compatible CHIRP transducer (sold separately), GPSMAP 741xs displays crystal-clear sonar images to help find the next hidden fishing spot, ship wreckage or diving location. 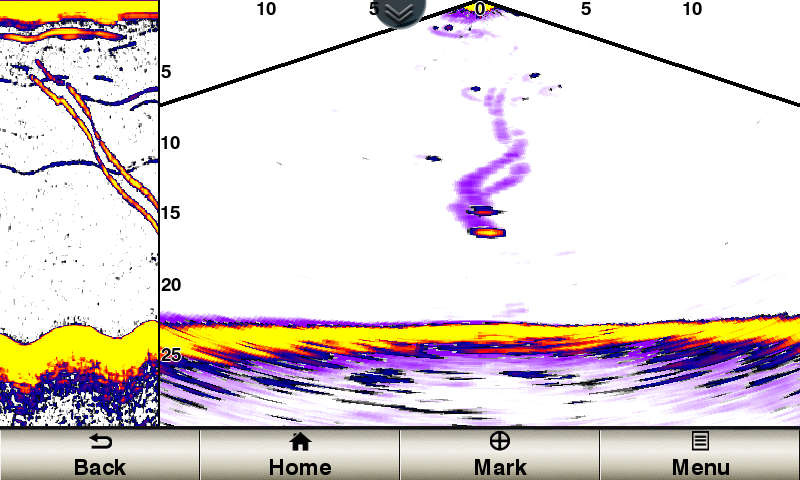 Garmin CHIRP sonar allows you to see target separation and resolution at extraordinary depths, and dial into specific frequencies to target certain species of sport fish. 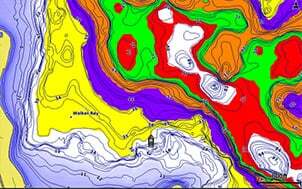 Bottom contours are more visible, and signal noise can be suppressed at greater depths to provide a more timely interpretation of what’s below for safer navigation and better fishing. 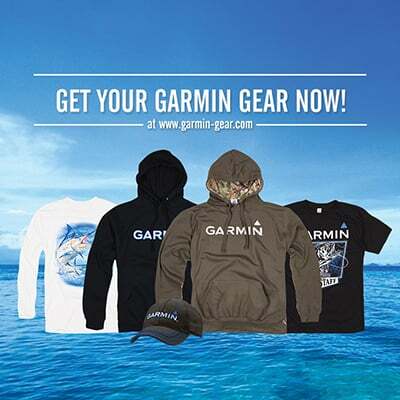 This combo allows you to add more capabilities to your boat. 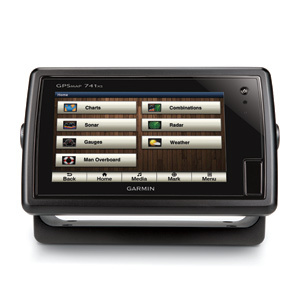 It provides NMEA 2000 support so you can see valuable information on your screen for autopilot, engine data, SiriusXM weather and more. 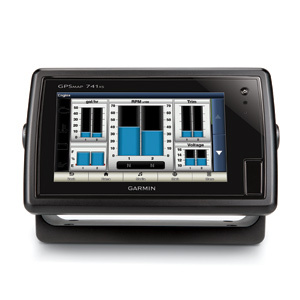 The GPSMAP 741xs offers select networking capabilities that allow you to share features with other compatible GPSMAP units, such as supplemental maps, and user data, including waypoints, routes and tracks. User data can be automatically synced with other chartplotters in the network. 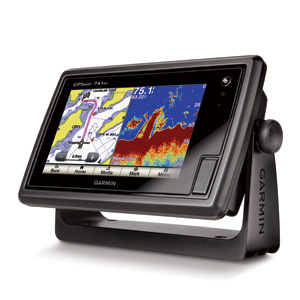 Garmin Helm™ allows you to view and control your compatible Garmin chartplotter from an iPhone® or iPad® or phone, or phone or tablet using Android™ — while providing enhanced situational awareness for the mariner. Easily switch between portrait and landscape mode to accommodate mounting preferences. 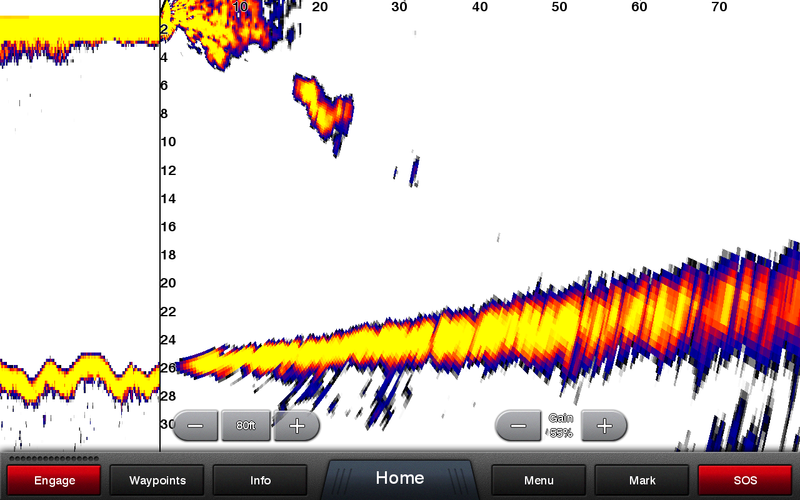 Using your iPhone or iPad, you can even record a movie of your chartplotter screen to share with friends and family. Download from the App Store™ or Google Play™ today. 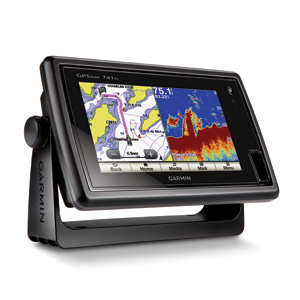 With BlueChart Mobile, a free app downloaded from the App Store, you can plan marine routes on your iPad or iPhone then wirelessly transfer them to your boat’s compatible networked Garmin chartplotter¹. 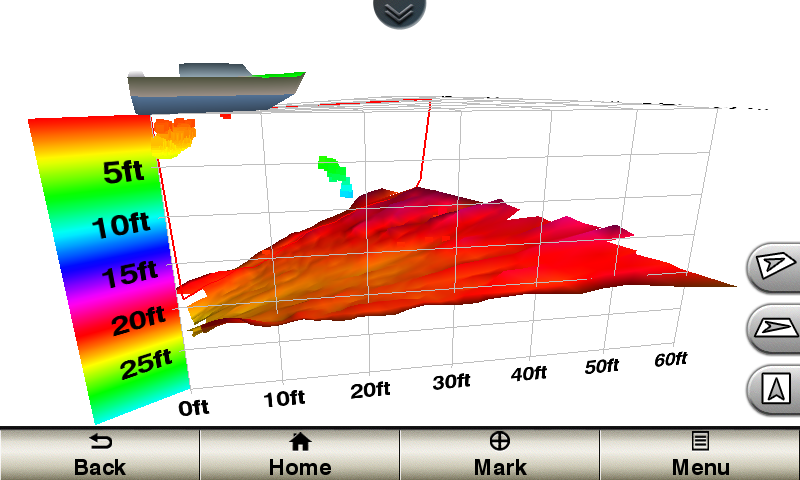 Even if you don’t have a Garmin chartplotter, you can still take advantage of the tremendous features of BlueChart on your Apple device. Apple, iPhone and iPad are trademarks of Apple Inc., registered in the U.S. and other countries. App Store is a service mark of Apple Inc. Android and Google Play are trademarks of Google Inc.